The Shure SM57 is one of the most popular professional instrument microphones of all time. The dynamic SM57 mic performs reliably delivering natural sound night after night. Its durable, bulletproof design stands up to road travel and abuse. Perfectly at home in the studio too. The Shure SM57 boasts wide frequency response (40Hz-15kHz) and a tight cardioid polar pattern that are ideal for close-in speaker miking. 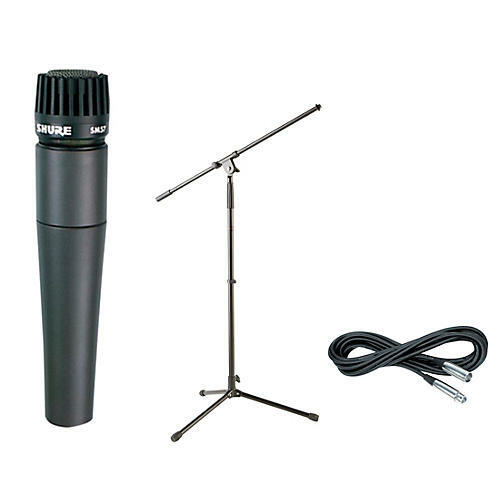 This package includes the SM57, a tripod boom stand and a 20' XLR to XLR cable.